“After I completed the fiancee visa application documents, an acquaintance provided me with the contact information for U.S. Immigration Legal Advisors who he indicated was a immigration law firm with a great deal of experience in obtaining fiancee visas. As an attorney, I was unsure whether I needed assistance in obtaining a k1 visa or fiancee visa for my fiancee so I forwarded the documents I completed to U.S. Immigration Legal Advisors to see if they had any comments. 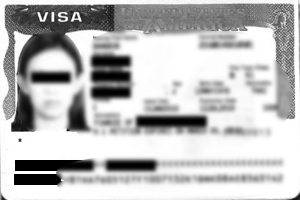 My experience with U.S. Immigration Legal Advisors was excellent. The services included identifying what documents to include (and not include), preparing the numerous sets of documents for submission throughout the process, walking my fiancee through the various tasks (doctors appointment, police department visit, trips to the embassy), and preparing my fiancee for the interview. While it’s possible that my fiancee may have been able to complete these tasks on her own, I doubt that she would have been to do so quickly, easily, or correctly (at least initially).